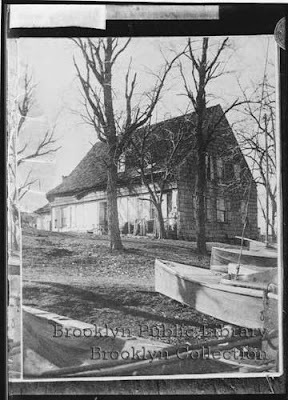 I just came across these photographs, by Daniel B. Austin and Adam Dove, in the collections of the New York & Brooklyn Public Libraries. 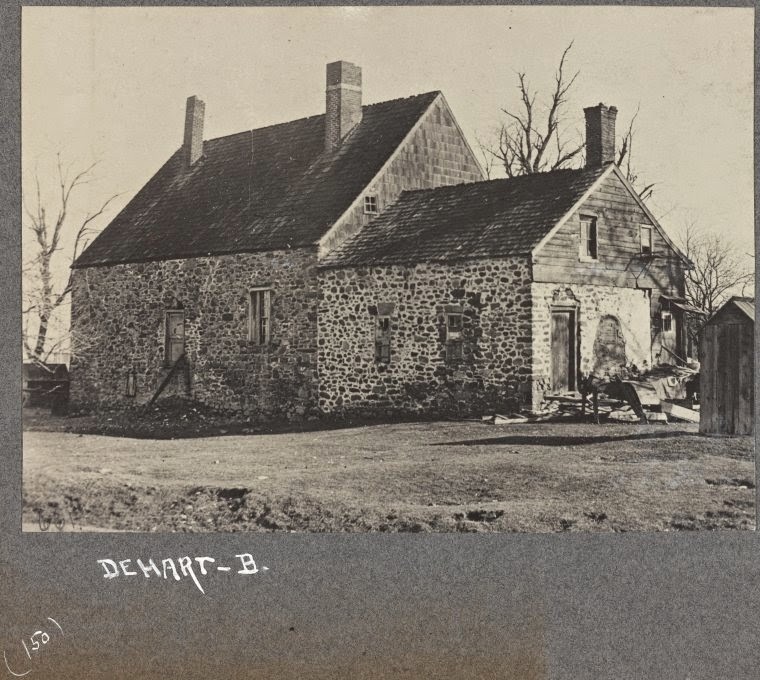 They show the De Hart-Bergen House, built by Symon Aertszen DeHart in the 1670s. The property was built on a 300 acre tract DeHart purchased "on the shore of Gowanus Cove," between what became Second & Third Avenues, and variously described as standing at several points between 37th & 39th Streets. The house was apparently demolished in the 1880s. "We found a good fire,' they say, in speaking of the house, "half-way up the chimney, of clear oak and hickory, of which they made not the least scruple in burning profusely. We let it penetrate us thoroughly. There had been already thrown upon it, to be roasted, a pail-ful of Gouanes oysters, which are the best in the country. . . " Dinner also included venison, turkey and goose. dinner with a giant shopping cart in the Costco aisles, or cramming the spoils of the shop into your SUV. 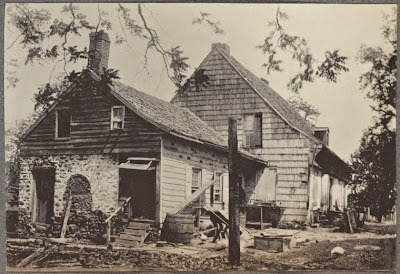 Thank you for posting these; Symon was my ancestor & it was great to see what the house really looks like vs. the drawing! Thanks for looking at the blog! You've probably come across the Dankers diary before, but if you haven't you can read the whole thing at the Project Gutenberg site. 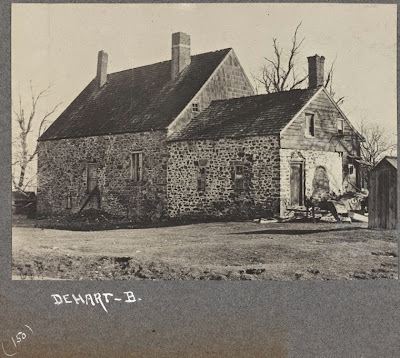 There's more there about the visit to the DeHarts, and further travels in New Amsterdam.